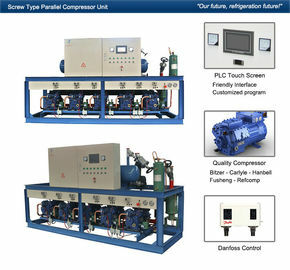 Each compressor rack is equipped with PLC controller, it can automatically decide how many compressors to be used according to the actual need, even the running time between all compressors, so that the electricity can be saved, also the compressors can have 30% more use life compared with single compressor condensing unit. 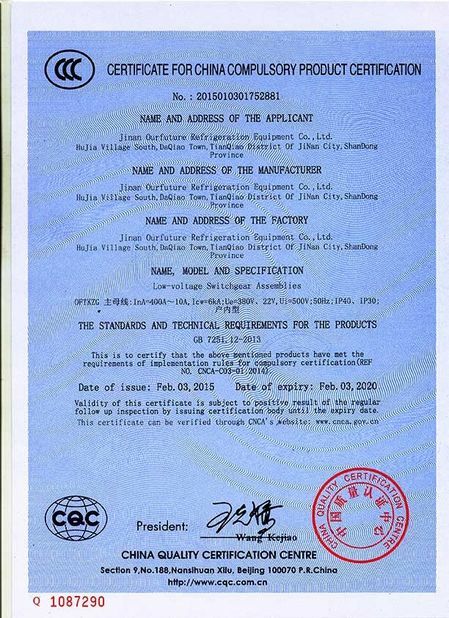 Our compressor racks are widely used in fruit fresh keeping, vegetable storage and production, seed storage, etc. 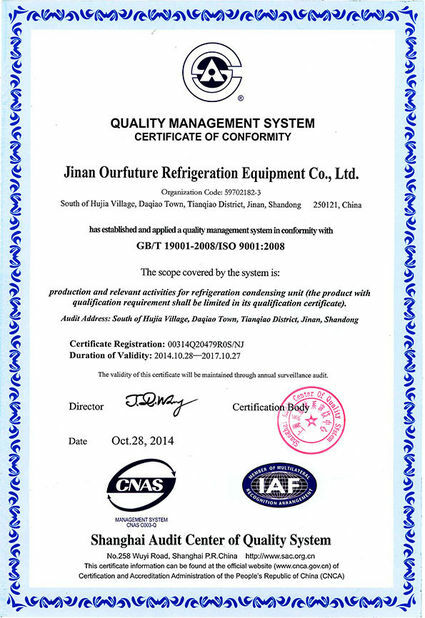 We hope to work with more and more refrigeration contractor to provide the best refrigeratioin solution to the world. We have hight effciency oil separation system, when the unit is on, there's no need to use lubracation, the standard oil temperature heater , oil temperature controller and oil level controller can make sure a perfect running. 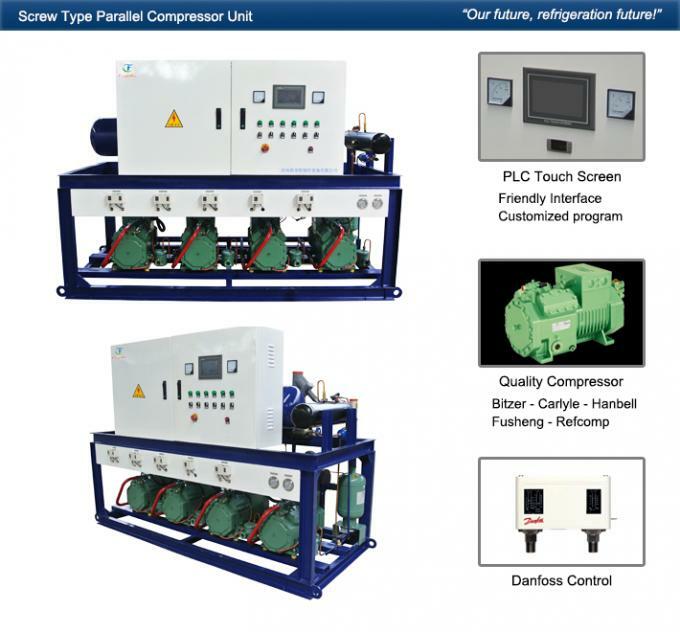 Compressor brand: Bitzer, Carrier, Bock, Fusheng, Hanbell, etc.